When backing your car out of your driveway or out of a parking space, being able to see behind you is crucial to not only your safety, but also your passengers and anyone else on the road. 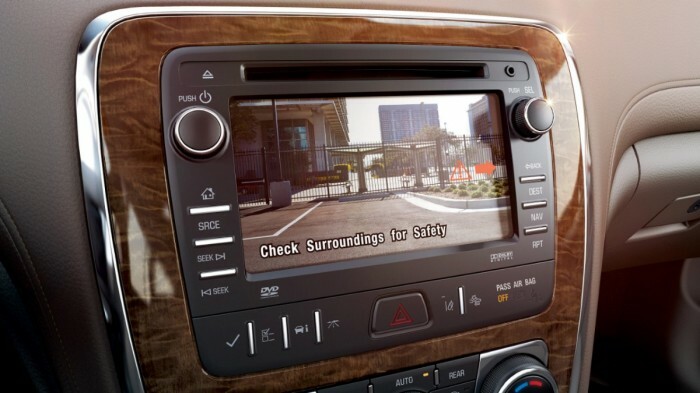 To reduce the risks of crashing, and to improve their vehicle safety, Buick is adding a standard rearview camera to every 2015 model. By mid-2018, all vehicles under 10,000 pounds will be required to have a backup camera according to a federal mandate. “Rear backup cameras have become like power windows and air conditioning,” said Karl Brauer, senior analyst for Kelley Blue Book, in a statement. “While they’re not standard on every car, yet, it’s rare to operate a new vehicle without them. The increased confidence these cameras provide make them a must-have feature.” Each of these models have been awarded a 5-star safety rating from the National Highway Traffic Safety Administration. The camera will be added to all vehicles in the Buick lineup, including the Encord, LaCrosse, Enclave, Regal, and Verano. Each of these models have been awarded a 5-star safety rating from the National Highway Traffic Safety Administration. The full 2015 lineup will be arriving soon, so make sure to stop in at Freehold Buick GMC and check out these great vehicles!